I’ve started a new interview series here on the blog, called “Risk Takers.” The reason is that I’m feeling “poised” these days, on the edge of whatever will come after I graduate (this Saturday!) from my two-year design program at NSCC. (I’m wondering things like, Will I find a job? Where? Will I start my own business? But how? And so on.) All of this change happening in my own life makes me keenly aware of risk. Risk is part of life, and it’s possible to take risks wherever you are in your life, but it comes to the forefront when you’re at a cross-roads, for sure. And then you wonder to yourself, should I take a risk? I’m often quite scared of taking risks, and feel anxiety about the unknown, just like everyone else. So this is a selfish series, really! It’s to inspire me and remind me that risks can be exciting, and that everyone goes through the anxieties of taking risks, and that you have to go through them to get something worthwhile on the other side. So I’m going to be reaching out to people who’ve taken risks and done interesting things, and sharing their stories, and I hope it brings you some of that inspiration too! Pamela Johnson currently works for the Coady International Institute located at St. FX. She is a Program Officer in the International Centre for Women’s Leadership and currently helps to coordinate 3 of the Institute’s 5 programs in Women’s Leadership, as well as facilitate in those programs and others in Coady. 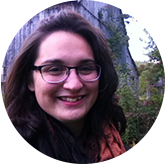 Since moving to Antigonish, she has become involved in projects that promote the growth of a Green Economy, and sits on the Coady Social Justice Committee. In short, she rocks! 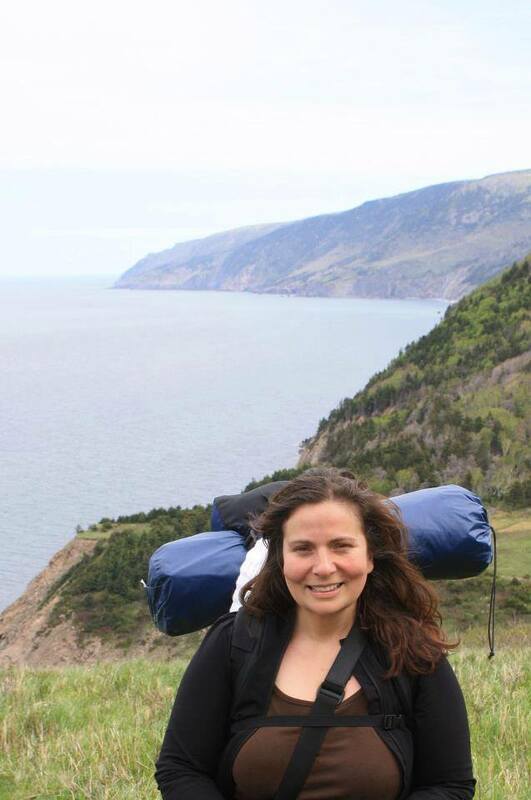 Pamela Johnson, 41, Antigonish, NS, former Ontarian, and proud honourary Cape Bretoner! I get really excited about community driven development — grassroots action that is inclusive, focusses on the assets and talents of people around us, building on small projects with the end goal of broader systemic change. I am passionate about the importance of establishing social policy that is shaped in partnership by those whom it is meant to support/protect. I am also deeply interested in disability, food security and environmental sustainability. I am happiest and most inspired when I am with people who look at things in a fresh and inquisitive manner, people who want to share, collaborate and mentor others. 3) What is one of the biggest risks you’ve ever taken in business, in your career or in life? (Or more than one, if you feel like getting descriptive.) Did it pay off? Leaving my home, job, community, friends and family to come to Cape Breton to finish my graduate degree and instigate a shift in my career was the most terrifying thing I had ever initiated in my life, and it paid off in spades! The shift left me feeling terrified. I had always felt security having the people and places I knew best close at hand. As well, I played a very defined role in my relationships with the people in my life as we all do – moving to do this changed all of that. The risk was professional, financial, and deeply personal…the result was transformative. I would not change the experience in any way. Absolutely, I feel discouraged when I put energy into something and it doesn’t grab hold, but I have learned that is really about my own expectations and no one else. With time, my expectations of others have changed, I endeavour to see people for their strengths and accept they have weaknesses, just like me. I am far more forgiving with myself and others. Confidence is a characteristic that is building with age – insecurities about my abilities, my looks, my relationships are not completely absent, but are falling away – that is the gift of age. When I am feeling less confident, I remember the words of friends, family and mentors, you know, those constant messages we all get from people about our strengths and talents. We often throw compliments off like a blanket on a warm day, now I say “thank you. Be grateful people are reminding you that you have talents and gifts – return the favour and remind them too. 5) How has taking risks paid off for you? What good things have they brought to you, that you are grateful for? 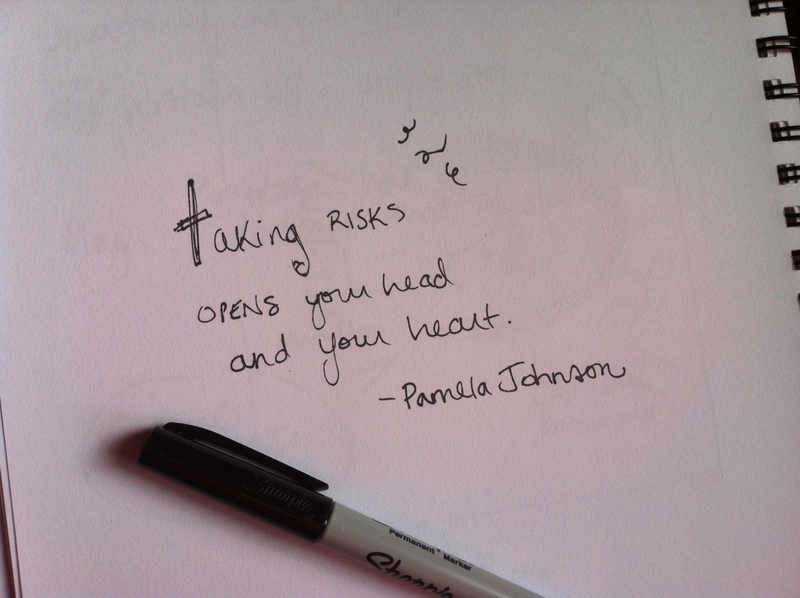 Taking risks opens your head and your heart. When you take risks and it goes well you and others may be quick to compliment the action, when it doesn’t work out, you and others may be quick to reprimand. Arguably, I have learned as much from the failures as the triumphs. Taking risks has resulted in me always having work that is meaningful and mostly wonderful and enriching relationships. Occasionally, those risks have resulted in unadulterated entertainment – that can be good too. The first three interviews in this series are with Jenni Welsh, Hailey Isadore and Denise Arsenault. For more Q+As with rad Cape Bretoners just go to my Interviews page! This entry was posted in Community, Newcomers, Women + kids and tagged Antigonish, Cape Breton, Coady Institute, Pamela Johnson, Q+A, Risk Takers, women. Bookmark the permalink.